NYC- FREE REVENGEANCE!! SEPT 13TH!! NEW YORK! 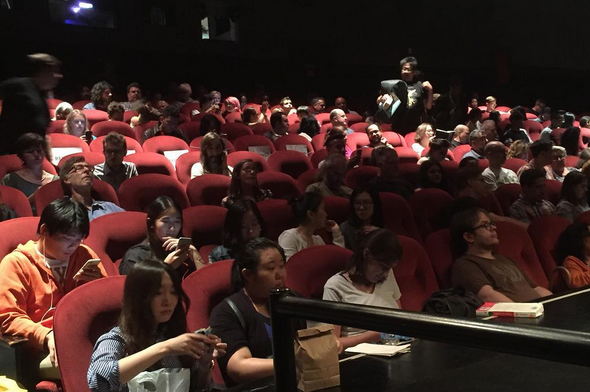 THE NYC PREMIERE OF REVENGEANCE! AS A THANK YOU- IT'S FREE!! FIRST COME FIRST SERVED! 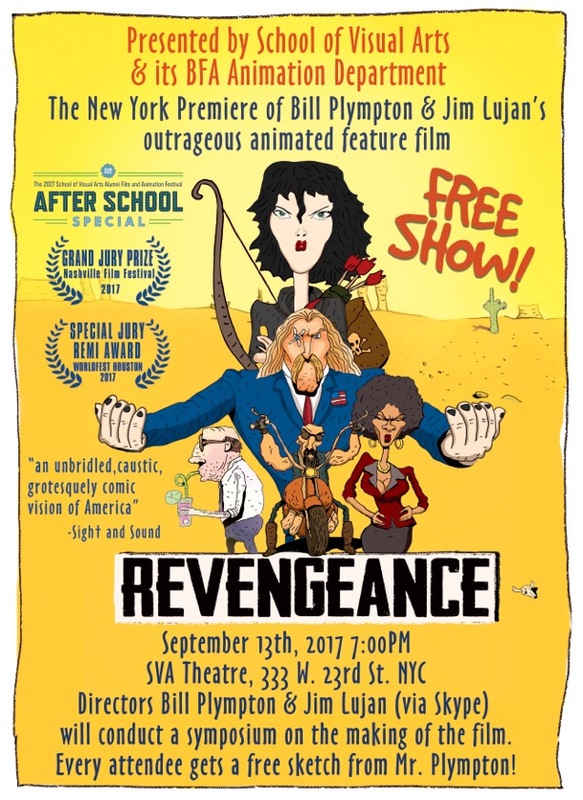 CHECK OUT A SYMPOSIUM BY BILL PLYMPTON AND JIM LUJAN AFTER THE FILM! CAN YOU CONTAIN YOUR EXCITEMENT?! WEEEEEEEEE!!! PRESENTED BY THE SCHOOL OF VISUAL ARTS AND ITS BFA ANIMATION DEPT! !